To link personal domain names to your Fabrik site you need to make a few changes to your domain's configuration via their control panel. Every Fabrik subscription includes an onfabrik.com web address so you can instantly view your portfolio. 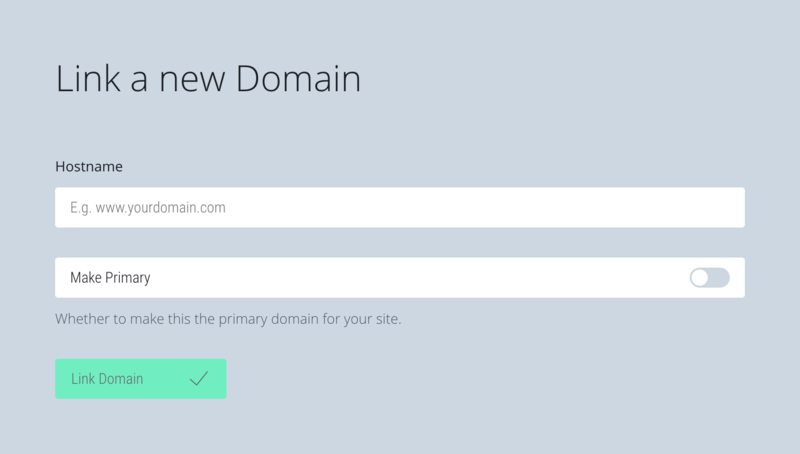 You can also link as many of your personal domain names to your Fabrik website as you like. To do this you need to make a few changes to your domain's configuration. This is usually done via the control panel provided by your domain registrar (the company from whom you registered the domain). DNS is the thing that translates a friendly URL like fabrik.io into an IP Address; a long number that works like a postal address for things connected to the internet. Log in to the control panel of whoever manages your domain's DNS. Usually this is the same place where you registered your domain but we often find that the domain registrar and DNS are in two places. If you're not sure who this is, you can check here to give you some clues. Once you've logged in to your domain registrar's control panel you need to make some changes to your DNS records. The exact process for doing this can differ between providers. We have step-by-step guides for a number of popular registrars below. If you already have these records you can just update the IP Address. If you don't have them (possible if you've just registered the domain) you may need to create them. DNS records are replicated all over the internet so any changes you make can often take up to 48 hours to propagate. If after a few hours your domain still goes to the old location, restart your browser and try again, you may need to be patient and wait a bit longer. If you want absolute confirmation that you've set everything up correctly you can use Dig Web Interface. DNS can be a little tricky so if you get stuck, please contact us via the chat (bottom right of your screen) or email us we will be happy to help.